The Salon is collecting box tops for our schools. 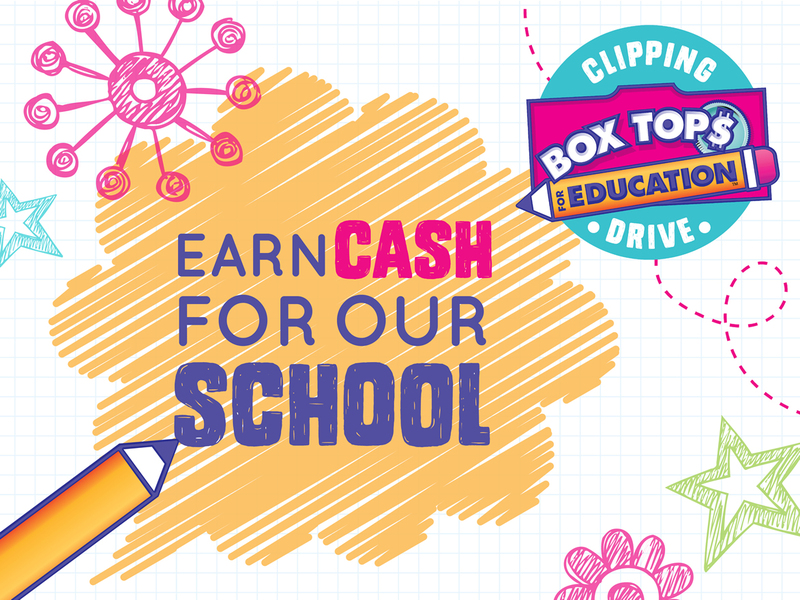 By participating, you can help us reach our Box Tops for Education earnings goal. You can clip Box Tops from hundreds of products. Every Box Top you clip is worth 10 cents cash, and they add up fast! There’s a full list of participating products at btfe.com/participating-products. Too many people live with food insecurity. The Salon is collecting food for Spooner House every Saturday, May 5-June 30, from 9-2. Also on any given appointment day that you may have. Thank You. 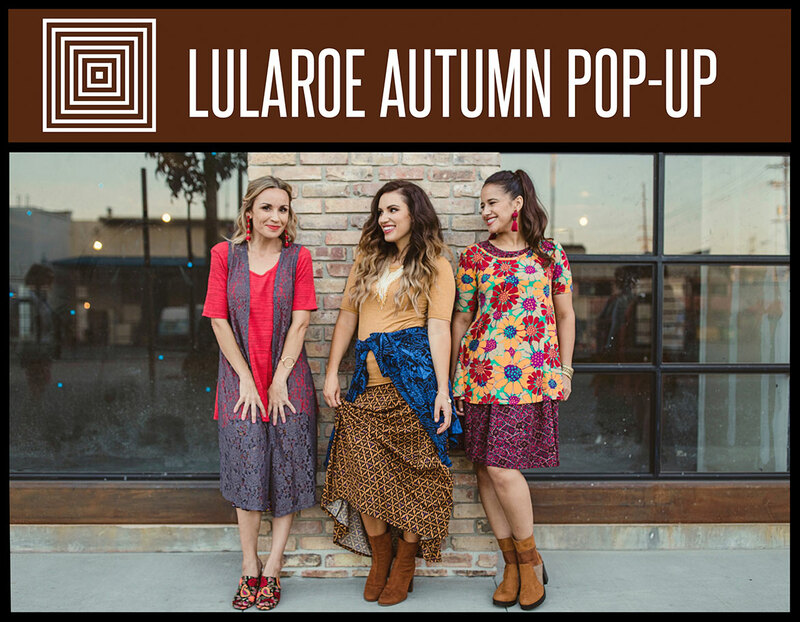 Save the date Saturday November 18th as Lindsay from LuLaRoe will be returning for an Autumn pop-up from 11:00 A.M. to 3:00 P.M. So mark your calendars, we hope to see you there! The Salon also has a new selection of handmade scarves from Joann in stock for your cool weather needs. Our new spring soaps have arrived along with a brand new selection of lotions and lip balms. All are made with organic non-gmo ingredients including goats milk, shea butter, and Essential oils. All soaps are specifically designed to meet different skin conditions. One day gift certificate sale on May 6. Save the date Thursday June 1. Lindsay from LuLaRoe will be back for a summer cover up pop-up boutique 4-7pm. Mark your calendars! The Salon is having a LuLaRoe event on Saturday, February 25, 10 A.M. to 1 P.M. Come meet consultant Lindsay Comer to feel the difference comfortable fashion can bring to your life. Lindsey will have a large selection of sizes and styles to feel and try. On February 11th, get a $50.00 gift certificate, a bar of handcrafted organic goat milk soap of your choice and a bracelet of your choice all for $50.00, a $75.00 value. During the month of February, All scarves are 20% off. We are celebrating our Fourth Anniversary! We are four years in and grew four times as big as when we started. Thanks to our wonderful clients who choose us every day, we love you all and appreciate your continued patronage! Like and follow us on Facebook and Instagram for daily updates. Shop Small Satuday may be over, but our Holiday Boutique still has plenty of great gifts for your gift giving needs!. Stop by and check them out. The Holiday Boutique is open until December 23rd. Shop Small Saturday Is November 26th! Shop small with us! Everything in The Salon one day sale will be 20% off. After next Saturday everything is normal price. This Nov 26, we want to celebrate Small Business Saturday® with you! It's a special holiday created so communities can show love for small businesses like ours. And it wouldn't be a celebration without customers like you joining us! So mark your calendars for Nov 26, the Saturday after Thanksgiving, and get ready to Shop Small® with us. Stop by between the hours of 9 A.M. to 3 P.M.. And please don't forget to share your favorite Small Business Saturday moments on Facebook, Twitter, and Instagram with #ShopSmall. Thanks for your support. See you Saturday, Nov 26! Laurie Piroh from Tastefully Simple will be joining us on Saturday, October 15th from 9:30 A.M. to 1:00 P.M. She will be available with samples and to answer all questions as well as take orders. Beverages are also supplied by The Salon. Gluten free options are available. All welcome. Just stop in. We love our clients so much we couldn’t wait any longer to share the great news that The Salon will be moving! Coming soon this August! Check back later for more information. 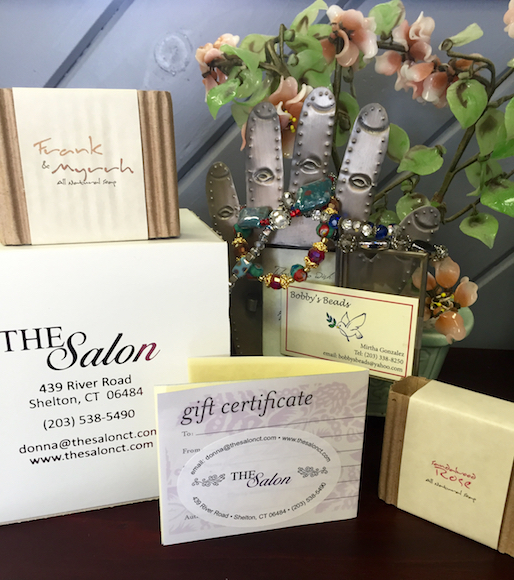 The Salon has put together a Gift Box any mom is sure to appreciate. Our Mother's Day Gift Box contains a gift certificate for a haircut & style, a hand crafted Bobby's Beads bracelet and Organic Goat Milk Soap! An $80 Dollar value specially priced at $50.00. While supplies last. Take advantage of our gift certificate sale. Purchase gift certificates with Donna at $50 for $40 and $80 for $70. Gift certificates are purchased in the salon and please mention web code WEB216 When you purchase. Think of us when you are gift giving, we have great products at great prices. Organic soaps and beautiful jewelry. Also gift certificates are available and make great gifts. Please join The Salon for Shop Small® Saturday November 28 9AM to 4PM. Take home some hand crafted organic soap and jewelry (100% of jewelry sales go to autism awareness) as well as great deals on products. Of course gift certificates for your favorite stylist are available all year long. Back to School Special from Jenn! The Salon is pleased to announce that Mary Paben & Diana Stranahan have joined their team! They bring their highly skilled expertise spanning many decades to our team. Read more about them on our Meet Your Stylist page HERE. In case you missed it, we were written up in the June Shelton life! Grab a copy and check it out! 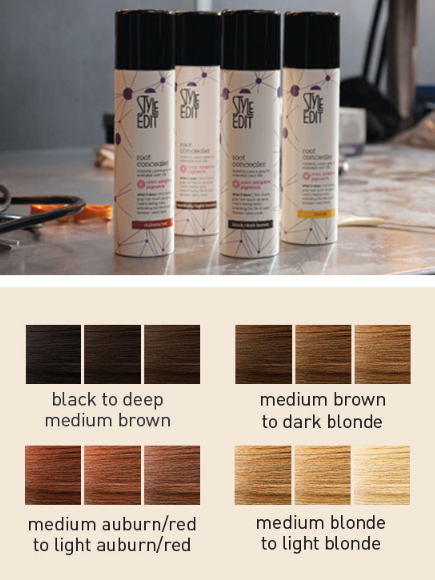 Check out one of our many new products, Style Edit root concealer is an instant gray root touch-up spray that covers fading roots, extending the life of color between salon visits. In stock now! Learn more about it on our products page HERE. Have a safe fantastic summer from the team at The Salon. 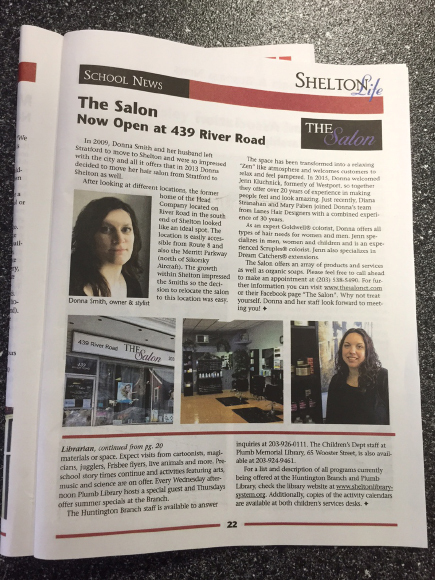 The Salon is growing, so stay tuned, and Shelton Life is doing a write up about us in their magazine available June 15. Look for it! Sale on Gift Certificates for the month of May. Available in The Salon or over the phone with a credit card. 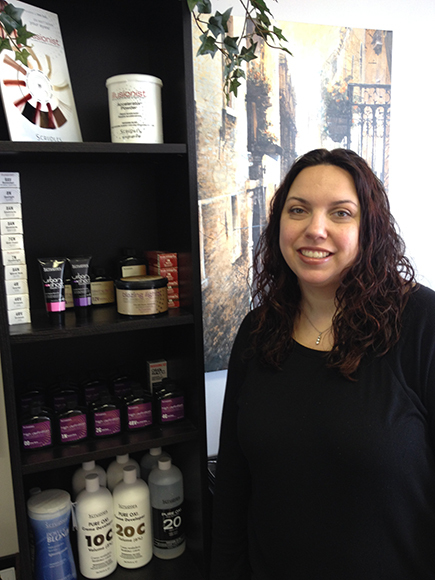 The Salon warmly welcomes Jenn Kluchnick formally of Westport. 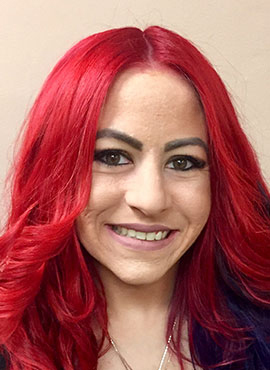 She brings with her 19 years of continuing education and experience of color, cuts and dream catcher extensions and works with men, women and children. For more information on her services, and hours please call or email Jenn Kluchnick at Phone: 203-414-7696 Email: jenn@thesalonct.com. Sale on Gift Certificates until February 14. Available in The Salon or over the phone with a credit card. The Salon will be selling soaps, and handcrafted jewelry as well as their hair care products. Shop Small Sale: Receive a free bar of soap with hair care purchase of $50. Buy 2 soaps receive a free lip balm of your choosing with gift box. This special is one day only November 29. INTRODUCING All natural Goat milk, Shea butter Soap. Organic and NON GMO Variety of scents only $4.50! Also All Natural Organic and NON GMO lip balms. Only $1.99! 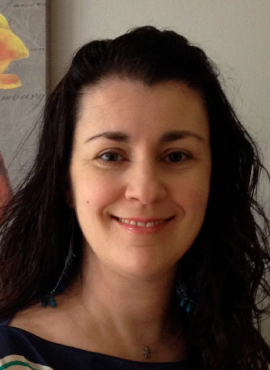 New Aromatherapy head and neck massage service now available, find out more about it HERE. Fall Special Intense Leave-in Goldwell Protein Healing Treatment with all services booked using promo code FALL until October 30. Wishing everyone a very happy 2014. May it bring much beauty, health, laughter, and joy! Shop Small® for the Holidays here! The Salon will be open for Shop Small® Saturday 9-3 with great deals on Paul Mitchell and Goldwell products. While supplies last. The Salon will be closed December 24-26. Gift certificates are available in The Salon and over the phone with a credit card. I wanted a way to show you what it was like here and I feel this new website design captures the relaxed, informal and fun atmosphere here. I have also launched new features too where you can now book an appointment on-line! If you have never been here before, I look forward to seeing you!